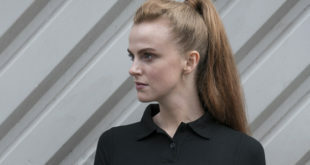 Russell’s brings two new polo shirt styles to market in 2019. Russell has introduced two new polo styles for 2019, the brand-new HD Raglan Polo (565M) part of the popular HD Collection, it has removable neck label, a great fashion fit and details such as contrasting neck tape, contrast buttons and side vents with denim appearance. 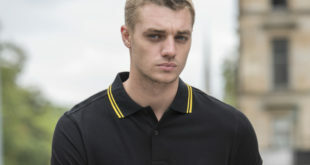 The HD Raglan Polo is super stylish single jersey construction with 3-button placket and modern contrasts. Proven HD quality and perfectly fitting raglan sleeves, make this polo wonderfully comfortable whether it’s worn on its own or under knitwear, sweats or jackets. The second design is the Tailored Stretch Polo (567M). If you love the 566M/F Slim Fit Polo, this is from the same stable but with a new tailored fit, opening up the possibilities to a wide range of customers.